Wishing you all good health, happiness and peace in 2019! I can’t tell you how much I love all three glazes, and one of them is my first and only Raku baby, I love him! I took them on a hike for some photos in their new Canadian home. The fee for the pottery class is 8,000yen per person including the costs of the materials. As for the details of this class, please email me. thousands of shrines, temples, and gardens, Kyoto is a haven for peace and serenity… and I miss it everyday! an unexpected rush of emotions and upon my return to New York City I decided to start taking ceramic classes. to an art too often mislabeled as craft. down, a final touch of love. You’ll never find another place like this. I know, I won’t. Thank you (arigato!) for the 2 days lesson and sharing on Japanese pottery sessions which you have kindly shared much invaluable experiences. I enjoyed learning about the traditional organic glazes and refined the lifting technique for the Chawan. And our conversations about the art form of pottery and life's lessons. Pottery Master-Teacher Shigeru San is a thoughtful, patient, humble and very generous preacher and he shares his pottery skills and little secrets. 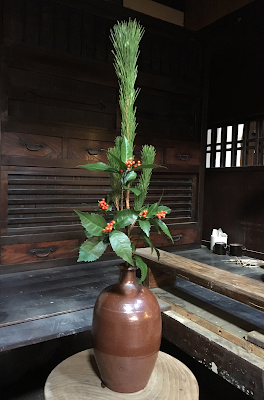 My two days at his Kyoto studio have further fueled my passion to learn and experiment. 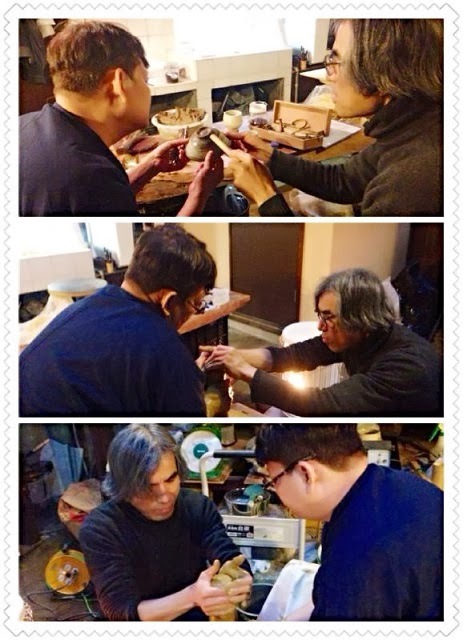 My seven private pottery making classes with Shigeru San was one of the highlights of my three months stay in Kyoto. To me, it was not just an ordinary pottery making class but an amazing life experience of Japanese Zen sprit and attitude. I was lucky enough to have the pottery making classes in Shigeru San’s traditional Kyoto town house studio, which is a classic and elegant studio with Zen atmosphere. 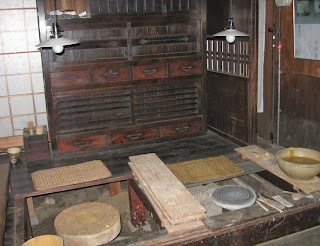 There is a special room for holding proper Japanese tea ceremony in the studio also. I was very privileged to be introduced to the Japanese tea ceremony culture and to evidence Shigeru San’s skillful Japanese tea making in my first class. Shigeru San is a very modest gentleman with a great dry sense of humour, so I never felt bored learning and making pottery with him. 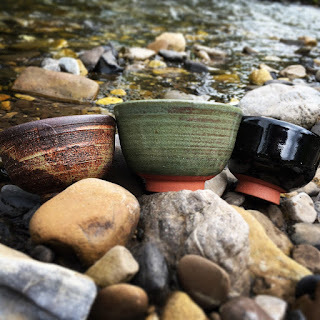 The best part of my pottery making was finding the strong connection between my hands and the clay. To me, it came all very nature with Shigeru San’s guidance and influence. 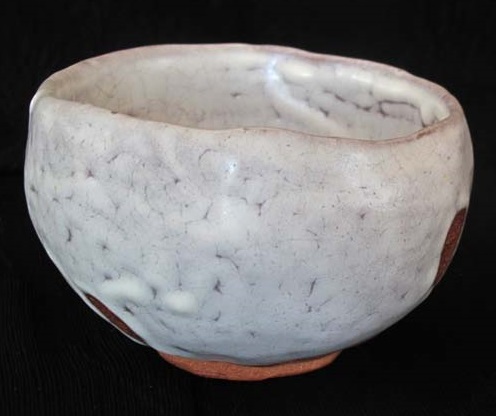 Shigeru San believes that pottery is made through conversation between humans and nature. 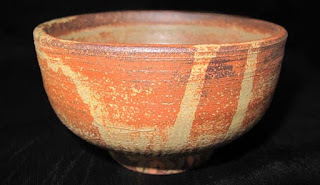 I shared the same belief after seven weeks learning and the true amazing thing was my understanding of pottery making has been transformed into a deeper level with the elements of simplicity and grace. I just want to say a huge 'arigatogozaimashita' to Shigeru San for everything he has taught me in the past seven weeks, which will benefit me for life! I look forward to continuing my pottery learning with Shigeru San on my return next year! The fee for the pottery class is 6,000yen per person including the costs of the materials. Wishing you all good health, peace and happiness in 2018! Wishing you all health, peace and happiness in 2017! history with rough details about the cultural back ground.